Found a village and build a mighty KINGDOM from it. Forge ALLIANCES, manage diplomatic relations or wage WAR. Your aim? An EMPIRE! 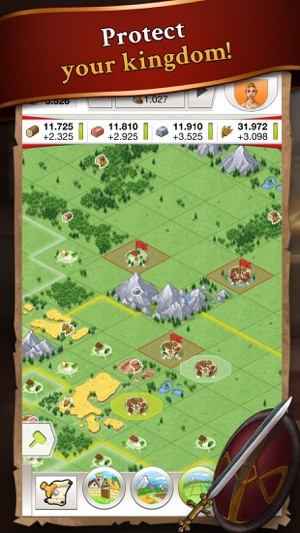 - The strategy classic in an app! •	A community of more than 1.5 million players awaits you. Will you join them or fight against them? Start your EMPIRE and build the first WONDER OF THE WORLD! You start with a Teuton, Roman or Gaul village. With the right tactics and strategy, you will however soon be the ruler of a mighty kingdom. You will project your influence through diplomacy and conquest and forge alliances with fellow players. With the right skills, your alliance can be the first to build the Wonder of the World and win the game. KING or GOVERNOR - the choice is yours! 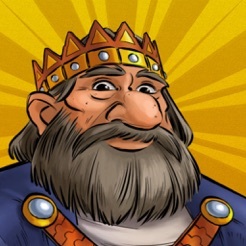 New in Travian: Kingdoms: You decide whether to play this strategy game as a king or governor. As king, you lead your troops into battle. Your goal: Expanding your empire and protecting your governors. The role of a governor is more defensive, but challenging nonetheless: You upgrade your village to a prosperous city and decide which kings and tribes to follow. If you like, you can reach for the crown yourself. Team up with fellow players and forge ALLIANCES! 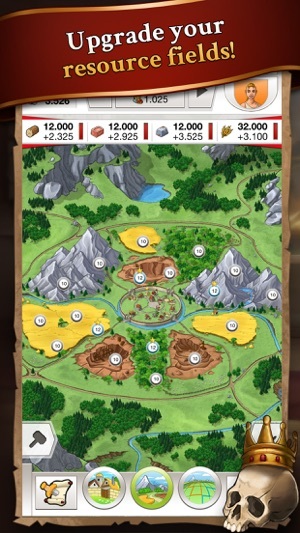 No other game relies so heavily on alliances with fellow gamers than Travian: Kingdoms. You can only be successful if you go to war together. But you also decide when it's time to change allegiances and sound the charge together with your former enemies. 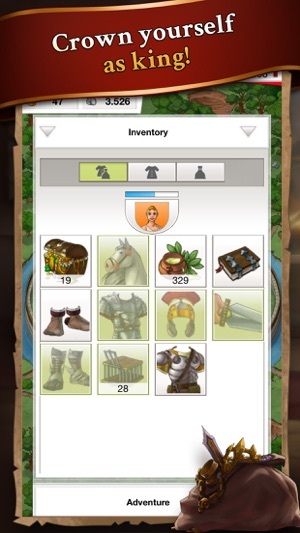 Travian: Kingdoms stands for one of the most successful and popular multiplayer games (MMO) worldwide. The developers of Travian Games have achieved a quantum leap with the new version: It impresses with even better graphics and a multitude of strategic options yet unmatched. 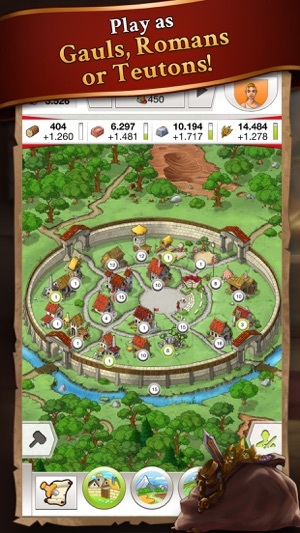 Travian: Kingdoms can be downloaded and installed free of charge. Some game features can however only be purchased with real money. If you don't wish to use this function, please deactivate the in-app purchases feature in your device's settings. A network connection is required. Thank you for playing Travian Kingdoms. In this update we fixed some small bugs, and improved the perfomance. So 1) the tutorial is super glitchy, once you pass that and you log in, u should be good. However still few crashes. 2) your attack reports (no matter if oasis or other village) doesn’t work. It’s on of the most important things that should be fixed asap. Because you farm, and you want to know what you farm right? Absolutely pointless to make any attacks right now in mobile app. 3) there is no ranking in this app. In general, the game seems to be for ppl who played the browser version, and just want to que more buildings and lands while they are out. 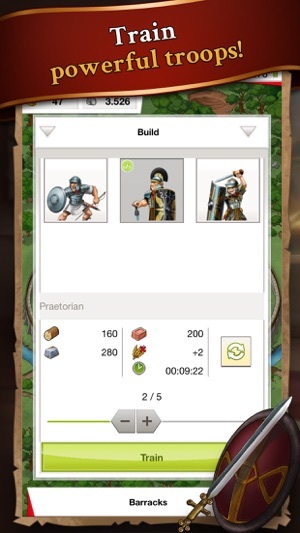 It feels to me, like somebody said that the mobile app should be made, and travian had 50$ to make this happen. All of these games out there, and only this is the real one that catch me for a looong time, and it’s just a bad version. Hopefully they release an update soon. This app is coming closer and closer to optimizing the game of travian kingdoms which is more web based anyways. As a fan of the game for 10 years, I am glad to see it is moving to the right direction with this game app. Recommend everyone try this game out, especially with your buddies. App will come handy when you have no access to a computer. Btw it really isn’t unoptimized like people are claiming it to be, runs perfectly on both of my devices and I haven’t run into any problems yet.